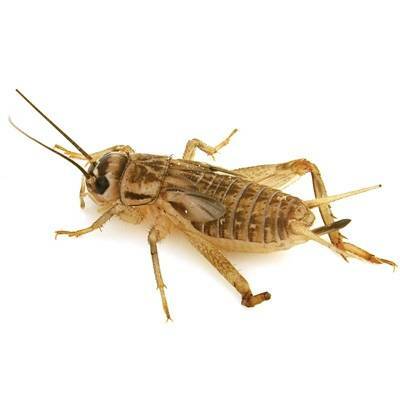 Super worms can be digested by many of those herps who cannot digest giant mealworms. 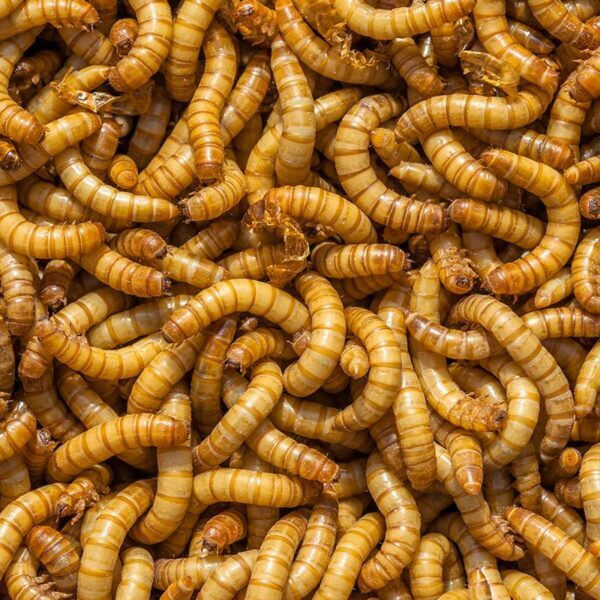 I should add here a rather obvious, but often overlooked point: both regular mealworms and Super worms start off life rather small and the younger ones can be fed to the smaller herps. DO NOT REFRIGERATE SUPER WORMS – IT WILL KILL THEM. 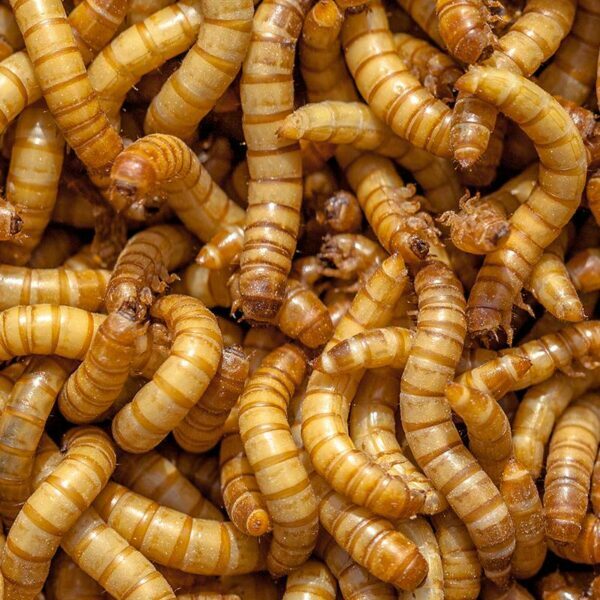 Unlike common mealworms, Super worms require no refrigeration. 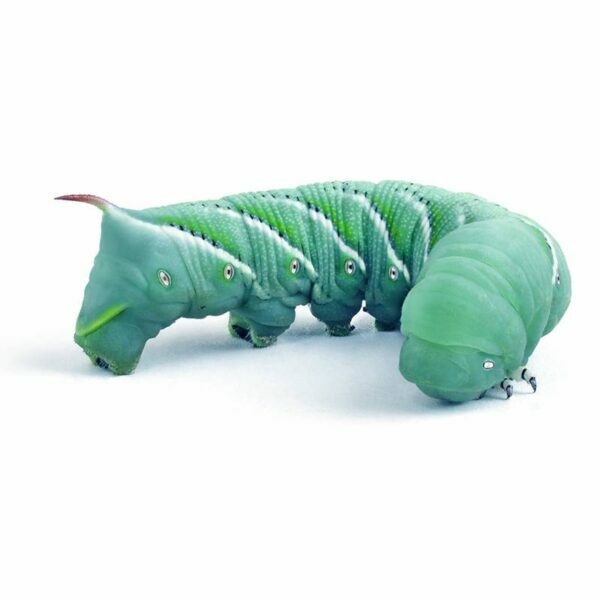 Super worms do not pupate and become beetles at room temperature, as do common mealworms. 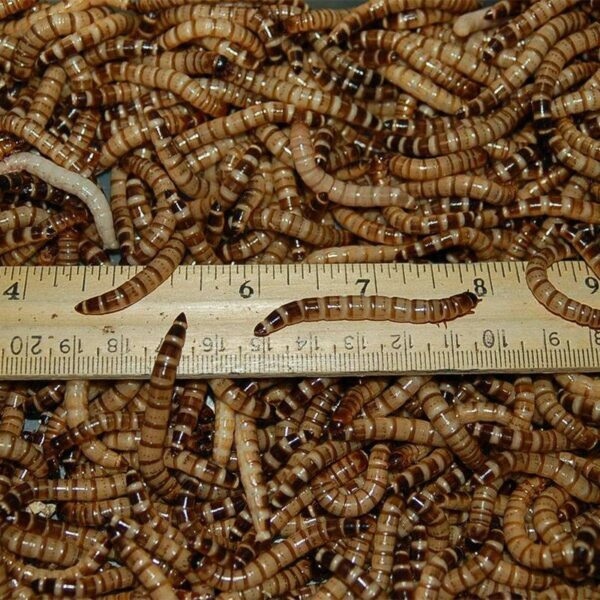 For optimum Shelf Life Super worms should be stored at between 70 and 80 degrees Fahrenheit. Remember, DO NOT REFRIGERATE SUPER WORMS – IT WILL KILL THEM. When you receive your Super worms, you should place them in a plastic container with approximately 2 inches of wheat or oat bran or uncooked oatmeal. Cut a raw potato in half and place it cut-side down on top of the bedding. If it is more convenient, you can also feed raw carrot, squash or apple. 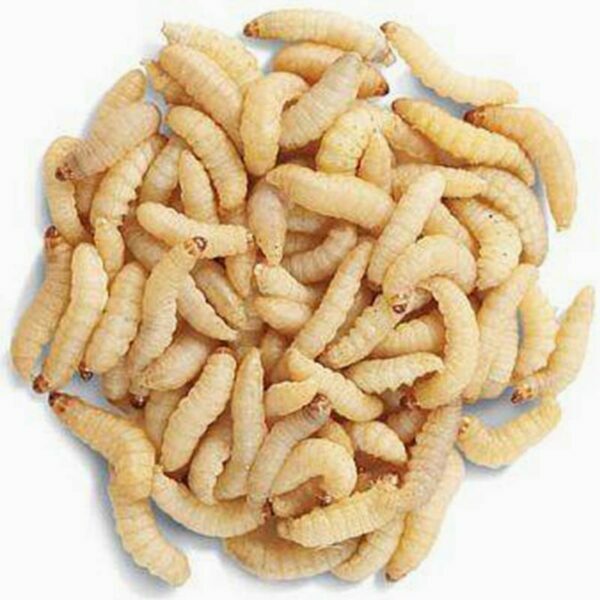 Your Super worms utilize this food for their moisture requirements. Replace the food every several days, as it tends to get either too dry or moldy.